Is Calories In, Calories Out the Key to Losing Weight? If you have ever tried to lose weight, then you probably have been told to track your calories. Most calorie trackers focus on keeping track of the calories you consume through food. On the other hand, fitness trackers or workout machines may track how many calories you burn during the day. However, is there more to the story of weight loss, or is calories in and calories out the only key to success? 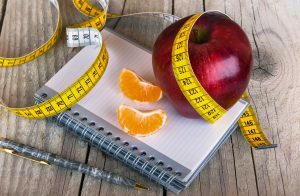 A recent report by health experts reveal that there may be more than simple math in the weight loss equation. What are is a calorie? Whatever calories you consume that are not used as energy are stored in the body as fat. In simple terms, you may lose fat stores if you consume less calories than you burn. Calories can be burned by physical activity, but calorie expenditure may also increase in those who are growing, injured, or ill. This is because your body will need more energy to support such processes that involve cell reproduction and other related processes. Are some calories healthier than others? Not all calories are created equal. The recent report reveals a growing trend of people focusing solely on the number of calories in and calories out, rather than the quality of calories consumed. Although this may lead to a calorie deficit, and in turn weight loss, it is not necessarily healthy. For example, a piece of candy and an apple may both contain 100 calories. However, the candy mostly contains empty calories because they contain little to no nutritional value. The calories in the candy are mainly from simple carbohydrates like sugar as well as fat. However, in the apple, those same calories contain many nutrients such as fiber, vitamin C, and potassium. Therefore, the calories from the apple will provide your body with more health benefits than the candy. The latest diet craze known as CICO (Calories In, Calories Out), may lead to vitamin and nutrient deficiencies according to experts. If you are not looking at the nutrient quality of the calories you consume, then you may increase your risk of heart disease, osteoporosis, anemia, to name a few. In addition, if you restrict yourself of too many calories, then you may develop fatigue and malnutrition, which does your body more harm than good. Contact a registered dietitian to help you determine how many calories you need to support your lifestyle, while still helping you to lose any excess weight. There is no one size fits all plan to help everyone lose weight. However, there are several things you can do today to get on the right track towards healthy weight loss and maintenance. Watch your portion sizes at meals and snacks. A simple way to determine how much food you need to eat at each meal involves your protein and fiber needs. Most adults should consume at least 25 grams of fiber a day through whole grains, fruits, and vegetables. Your protein needs, in grams, can be determined by dividing your weight in pounds by 2.75. Once you determine your fiber and protein needs, use a nutrition tracker to ensure you meet these needs with mostly whole foods, or foods that are minimally processed. Also, chew your food more per bite, slow your pace of eating to 20-25 minutes per meal, and be mindful of the food choices you make by looking at nutrition labels before you make food purchases. Stay active most days of the week. Balance out each week with cardiovascular and resistance exercises. Cardio exercises include walking, jogging, swimming, or biking. These exercises work to increase calorie burn. Resistance exercises, on the other hand, such as lifting weights, doing push-ups, or using resistance bands, help to maintain lean muscle mass. Maintaining your muscle mass as you lose weight helps you to maintain calorie-burning power, also known as metabolism. Get plenty of sleep. Weight loss may be more difficult for those who do not sleep well. This is because lack of sleep can disrupt the hormones that control hunger and appetite. Try to get at least 6-8 hours of sleep each night. If you have trouble sleeping due to visiting the bathroom regularly, stop drinking fluids at least 2 hours before bedtime. If pain is keeping you up, visit your doctor to get support. If you are not sure what is causing your restless sleep, you may have sleep apnea. You can ask your doctor about getting a sleep study done to determine the cause of your sleepless nights. increased risk of conditions like hypothyroidism or insulin resistance. environmental factors such as growing up without knowledge of healthy eating behaviors. Fill in your nutrient gaps with vitamins and supplements. 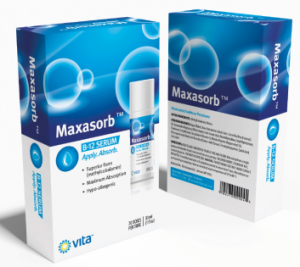 At the very least, take a multivitamin such as Zestia by VitaSciences. Zestia contains a blend of Super Food extracts, probiotics, and digestive enzymes helps to support optimal health. If you live in a climate with little sunlight, you may also need to add a vitamin D3 supplement to your daily routine. Low vitamin D levels can affect many aspects of health such as bone and immune health, to name a few. So, you think you’re getting enough vitamin B12 in one day? If you’re one of many who suffer from vitamin B12 malabsorption, then you need upwards from 1000 micrograms of B12 each week. Sounds easy? Guess again. Vitamin B12 occurs only in animal-based foods such as beef, chicken, fish, and dairy products like cheese and eggs. If you’re a vegan, then it’s time to start taking vitamin B12 supplements, in order to prevent vitamin B12 deficiency, a condition that back in the 20s was a fatal disease known as pernicious anemia. These days, vitamin B12 deficiency is still epidemic, though not as pernicious as it used to be. Still, many people are at risk for permanent nerve damage resulting from long-term vitamin B12 deficiency, so it’s a good idea to make sure you’re getting enough into your blood supply. The reason for the epidemic is simple– these days, there exist more factors that lead to vitamin B12 malabsorption than ever before. Your ability to digest and use vitamin B12 from foods diminishes exponentially with each risk factor. If you’re not able to digest vitamin B12 from foods, then doctors recommend anywhere between 1000 to 3000 micrograms of vitamin B12 each week in order to prevent deficiency and start feeling better. How much is that? Our infographic gives you an idea- to get just 1000 micrograms of vitamin B12, you would have to eat 11 servings of clam chowder…14 plates of fried liver with onions…or 17 sushi rolls of fish eggs. Though beef is touted as one of the best sources of vitamin B12, you would actually need to eat 80 servings of beefsteak to get even close to the amount of vitamin B12 you would need to get your B12 levels back to normal. That’s why it’s so important to take your vitamin B12 supplements, if you are experiencing even mild to medium symptoms of vitamin B12 deficiency. Your life and your health depend on it. Take as much vitamin B12 as you feel that you need until symptoms of tiredness, sadness, sluggishness, and memory problems disappear. There is no danger of overdose with vitamin B12, so it’s perfectly safe to take more than you think you’ll need, to be on the safe side. 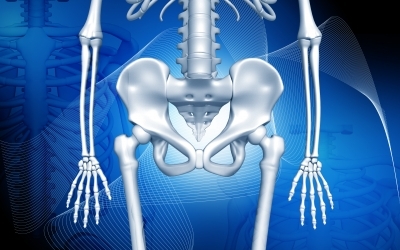 Just in the news- scientists have discovered a connection between vitamin B12 deficiency and osteoporosis that may change the way doctors treat bone loss. To promote good bone health, the key may be in sustaining maximum levels of vitamin B12 in your blood supply. Vitamin B12 deficiency is a form of anemia that occurs when your vitamin B12 levels in the blood drop to a dangerous low. In most people, B12 deficiency occurs from vitamin B12 malabsorption- the inability to digest vitamin B12 from foods such as meat, chicken, and fish. For many people, this occurs as an autoimmune impairment, an improper response to intrinsic factor, a protein needed to completely break down and utilize vitamin B12. Among the many ailments attributed to vitamin B12 deficiency caused by lack of intrinsic factor, increased risk for osteoporosis was the focus on a study led by researchers from the Wellcome Trust Sanger Institute. In the study, scientists found dramatic bone loss in mice born to mothers with vitamin B12, noting that low vitamin B12 levels accounted for nearly 70% less bone mass than healthy specimens. While injecting vitamin B12 didn’t improve bone health, researchers did find that vitamin B12 supplements had a therapeutic effect on liver cells. On closer inspection, they noticed that subjects with vitamin B12 deficiency were unable to produce taurine, a natural substance produced in the liver that promotes good bone cell production in preventing osteoporosis. “While the importance of taurine is yet to be fully understood, this research shows that vitamin B12 plays a role in regulating taurine production and that taurine plays an important role in bone formation.” -Dr Vidya Velagapudi, Institute for Molecular Medicine Finland. Previous studies also confirm these findings, such as one that examined children in Turkey born to mothers with vitamin B12 deficiency where taurine deficiency was also present. Also, scientists from the Institute for Molecular Medicine Finland saw positive results in bone cell production and taurine synthesis when vitamin B12 supplements were provided. Forgetfulness is annoying, and sometimes scary- especially when it happens daily. To improve your memory and sharpen your thinking skills, you sometimes have to nourish the brain with healthy nutrients, while also making certain lifestyle changes that benefit cognitive functioning. Here are some excellent natural-living tips that help to aid memory retention. Alzheimer’s disease is often the first thing people worry about when they begin to notice themselves forgetting things often. The good news is that rarely is dementia the cause of memory loss in your 40’s, 50’s, or even your senior citizen years. Sometimes, an underlying condition can be the contributing factor to slips in memory. Vitamin B12 deficiency, for example, causes short-term memory loss, fatigue, anxiety, depression, and a host of other mental and physical ailments. Do this to improve your memory! Listed are some things to put on your to-do list for ultimate brain health. 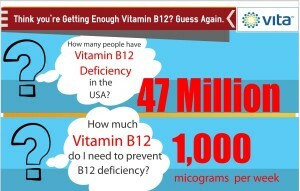 Check your vitamin B12 levels. Vitamin B12 is one of the most important nutrients for memory, stamina, mood, and the relaxation response. When vitamin B12 is very low, you many feel continuously depressed, preoccupied, confused and fidgety. To find out if you have vitamin B12 deficiency, ask your doctor for a blood screening to check vitamin B12 levels in the blood. You may need to up your vitamin B12 intake for several months or longer. Get plenty of sleep at night. A sluggish thyroid can trigger insomnia and depression, both of which lead to frequent slips in memory. If you’re often fatigued and forgetful, then ask your doctor for a blood test to check your thyroid gland functioning. Talk to your doctor about specific problems that you’re having with your memory. Some symptoms to include are feeling spaced out, fatigued, forgetting numbers or codes, missing appointments, forgetting names or words, or having difficulty just organizing your day. Studies have shown that including low-impact exercise into your daily routine is a great way to sharpen your mood, improve your memory, sleep better at night, maintain a healthy weight, and boost general happiness. Try walking for half an hour each day, or take on a new sport, such as biking or tennis. Don’t do this- it will ruin your memory! 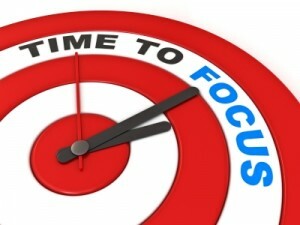 If you’re having difficulty paying attention, or you’ve found that you constantly forget something that you just reminded yourself about a second ago, then you may have to make certain changes to your routine lifestyle. Listed are some things to avoid when improving your memory. Don’t stop taking any prescription medications without speaking to your doctor, but do recognize side effects, such as memory loss, that can occur with certain medications. Make an effort to decrease the amount of stress in your life; not only does it make you unhappy, but it also makes it hard to focus on everyday tasks, as worries and anxieties take up too much mental space. If you’re having trouble concentrating or remembering things because of stress, then talk to a friend…take a walk…read a book…or confront the stress head-on. Can you add any other great tips on how to improve your memory? Please share below! According to chronic pain management experts, painful joints and muscle soreness could mean vitamin B12 deficiency. When vitamin B12 levels are down, symptoms similar to fibromyalgia, multiple sclerosis, and rheumatoid arthritis become more common… and debilitating. 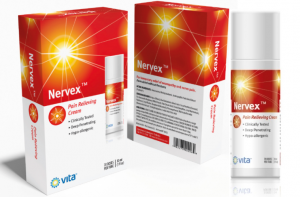 Listed are some typical chronic pain symptoms that occur with vitamin B12 deficiency. If you get painful “pins and needles” sensations whenever you sit down, then you may need to up your vitamin B12 intake. Vitamin B12 is important for healthy nerve cell. When vitamin B12 levels suffer, so does your nervous system. Peripheral neuropathy (nerve damage) happens with vitamin B12 deficiency anemia (pernicious anemia) and multiple sclerosis (MS). That’s because both conditions involve destruction of myelin, a fatty layer that protects your nerve cells. Symptoms include painful tingling and numbness in the hands and feet, burning sore tongue, and muscle twitches. Another sign of vitamin B12 deficiency from nerve damage is slow nerve reflexes. You may have difficulty walking in a straight line, controlling arm movements, or sitting up straight. Sore muscles, weak joints, and constant fatigue are symptoms associated with vitamin B12 deficiency , and they worsen chronic pain for people diagnosed with fibromyalgia, chronic fatigue syndrome, lupus, or other autoimmune disorders. Vitamin B12 deficiency causes low oxygen from poor red blood cell production, which in turn causes crushing fatigue, dizziness, and muscle pain. 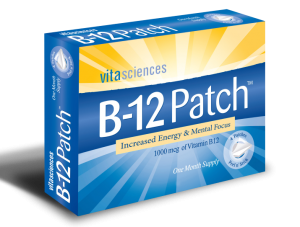 Many people with chronic pain also suffer from vitamin B12 deficiency. This makes it difficult to diagnose and treat low B12, as people (and sometimes doctors) assume that all pain symptoms are part of their chronic condition, when, really, they are suffering from a combination of chronic pain and comorbid vitamin B12 anemia. To find out if chronic pain is related to low vitamin B12, try taking large doses of highly-digestible vitamin B12 supplements. Many pain patients are surprised to find out that much of their suffering can be reduced just by replenishing vitamin B12 in their blood supply. Vitamin B12 should be a regular part of your chronic pain management, especially if you’re a risk factor for autoimmune disorders- a common cause of pernicious anemia. A new study on the cause of tinnitus leads sufferers to hope that vitamin B12 may be an essential key in reversing frustrating ear ringing and phantom sounds caused by noise-induced tinnitus. Here are the results of the study, which focused on damaged nerve cells of the inner ears. We know that exposure to dangerously loud noise decibels is a frequent cause of tinnitus. Now, researchers from University of Leicester’s Department of Cell Physiology and Pharmacology understand more about the kind of nerve cell damage that occurs when people listen to loud music or work in a noisy environment, and how it may be treated by promoting the myelin sheath, which is supported by vitamin B12. This is great news for people who have been suffering from chronic tinnitus for years, as there are currently no conventional drugs or treatments available to cure tinnitus symptoms. Your nerve cells are coated with myelin, a fatty substance that shields them from harm and enhances intercellular communication. According to this study, noise exposure may damage the myelin which surrounds the nerve cells of your cochlea (inner ear), leading to tinnitus that occurs when the dorsal cochlear nucleus sends mixed signals to the brain. So, by building myelin, researchers hope to possibly repair the ear’s nerve cells, encourage healthy nerve signals to the brain, and ultimately reverse tinnitus symptoms. Vitamin B12 is an essential nutrient for your entire nervous system, as it helps to support continuous myelin production while also maintaining many other crucial mechanisms of your brain’s network of nerve cells. In fact, one of the most devastating symptoms of pernicious anemia caused by vitamin B12 deficiency is a general breakdown of the nervous system due to demyelination- loss of the precious myelin layer. In addition to tinnitus, other signs of nerve damage caused by loss of myelin include immobility (loss of motor control), delayed nervous reactions, autonomous impairment (i.e. digestive problems), and cognitive problems (brain fog, memory loss). For nerve cell health, doctors recommend vitamin B12 supplementation. Vitamin B12 is the basis of all supplementation for nervous system integrity, as it is the best proven method to promote myelin production. Tinnitus is a condition that results from nerve damage of the inner ears. Symptoms include a variety of disturbing noises that are heard only by the sufferer; constant ear ringing, whooshing sounds, buzzing, clicking or whistling are just a few of the types of phantom sounds that occur with tinnitus. In most cases, tinnitus happens as a result of acoustic overexposure to very loud noises, such as music, machinery, explosions, or constant hammering. Over time, nerve damage to the ears becomes more pronounced, leading to incessant ringing in one or both ears. Tinnitus can last more months or years, and may come and go in phases. If you suffer from constant tinnitus, then the first step is to boost your intake of vitamin B12 through supplementation. Even if you don’t have vitamin B12 deficiency, you may benefit greatly from the extra vitamin B12. Many people who take mega-doses of vitamin B12 regularly report feeling more energetic and mentally focused. If you have tinnitus caused by ear damage, then continued use of vitamin B12 supplements will provide the best possible support for myelin production needed to sustain healthy nerve cells. Could there be a drug to avoid tinnitus? Research into hearing loss after exposure to loud noises could lead to the first drug treatments to prevent the development of tinnitus.